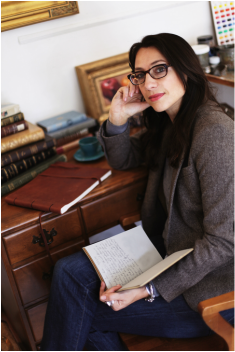 Once a successful Art Director/Graphic Designer working with Disney Press, Walter Foster and Sony, Vanessa Rothe has turned to a more traditional color palette for the past fifteen years as a professional editor, curator, lecturer, art dealer and fine artist. Vanessa Rothe Fine Art Gallery' located at 418 Ocean ave in Laguna Beach California, carrying some of the top American Realist and Impressionist artists, Contemporary Russian, Ukrainian, & French Impressionism, as well as fine Historical California and Russian Impressionism. The collection ranges at one time from 150 to over 200 works, from large scale masterful museum quality work, to small colorful on location studies, watercolors and drawings. Rothe additionally curates exhibitions outside of her own space and brings this curated fine art collection to various top art venues across the world. Visit the Gallery at 418 Ocean Ave, Laguna Beach, California, or browse the collection online here. The world of art is changing, buying art online is now a viable way to purchase art, especially if you are already familiar with the artists work and quality. Rothe will be one of the many fine art dealers to offer her knowledge and confidence in your "buying online" experience as she earns your respect as one of the pioneers in the modern world of art, offering easy and reliable online sales as well as partial click to buy fine art online experience. one of the founding team members of PLEIN AIR magazine, Curator, founder and leader of Americans in Paris Trips and Exhibitions, Co founder of the Realism Without Borders art group and as well as a successful fine artist and graphic designer. She is a Signature Member and Educational Director of the American Impressionist Society, and Artist Member of the renown Salmagundi Arts Club in New York. 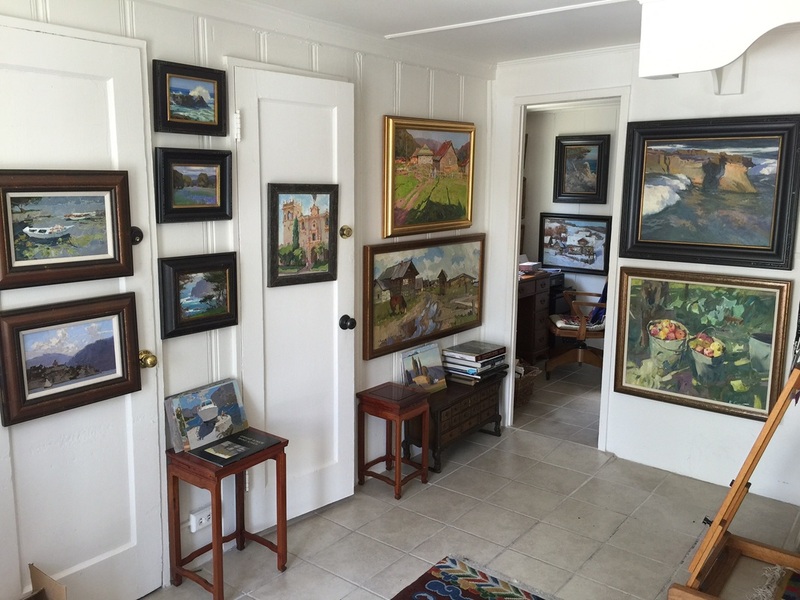 Rothe has been curating unique high quality exhibitions for such venues as The California Museum of Fine Art, the LA Art Show 2015, Arcadia Contemporary, Abend, and the Salmagundi Club New York. She is currently working with a Historical Early California Impressionist collection, and adding them to her unique exhibits in order to compare them with contemporary works, and to tie in important fine art history. Vanessa Françoise Rothe grew up in the artists colony of Laguna Beach, CA, the daughter to a well known German clothing designer to the Stars, Detlev Rothe, and her French mother Jacqueline Ricaud. She received top scholarships and honored in both Business/Marketing and French Literature at the University of San Diego, University of CA, Irvine. After working as an art director for Walter Foster Publishing she later studied Fine Art at the Laguna College of Art and Design receiving top honors throughout. In addition to this fine traditional schooling, she has had the opportunity to study at fine art ateliers in France and Italy as well as directly with many professional contemporary painters editors, curators, and writers to build her vast knowledge of the art world. Vanessa is also honored to have been invited to be a part of a seminar in Venice Italy for "The Alpine Fellowship" where she was able to discuss Art and Technology today with some of the top writers, art historians, art critics, painters and poets of today, including Ian McEwan, John Burnside, Ruth Padel, Alan Lawson, Odd Nerdrum and Roger Scruton. She is also the co founder of the Paris Seminar and the American in Paris exhibitions, bringing together 15 top american artists to travel to Paris to study the masters and share their influences and their knowledge with one another. The Americans in Paris exhibitions with their new works are coming this May 2018 to LA and Paris. Rothe currently lectures, curates and innovates large scale exhibitions, offers demos, and continues to make her mark with fine art exhibitions in the world of art. See our about us curator tab for more information. We welcome your questions, comments and information and are honored to help you enhance your existing fine art collection, or to start you along the path to building a truly fine art collection. Rothe and her artists, are proud to be supported by SENNELIER oil paints, Fabriano Paper, and Raphael/Isabey brushes by Savoir Faire fine art materials, as well as a new partnership with RAYMAR fine art canvas and linen panels, the support that counts.